So, you’re had your tennis court for a few years now and it’s starting to show a little bit of its age. This may bring up the question about when and how you should go about repairing and/or replacing your tennis court. Before your jump to any hasty decisions there are some things to look for that can tell you A) if you need to take any action at all and B) which route you should take to get your court back in tip-top shape. The first and most notable sign that of a tennis court in need of repair are the occurrence of cracks and/or root damage that continue to grow daily. Cracks can be a symptom of smaller or larger problems below the surface so they should be addressed immediately. Because courts get play in every possible season they will tend to develop birdbaths, or low spots in the surface where water can collect. Typically, the high traffic areas such as the baseline will show signs first. The lines on the court will also tend to fade over time which will typically fade at the same rate as other maintenance issues so keeping an eye out for faded lines can be a good indicator. Players can also tell when a court needs some tending to. Slick spots in the court can start to develop. Other things like loose sand on the court usually means it’s time to resurface. If players start to mention that the court is playing a bit too fast can be the first tip-off that you should take a closer look. 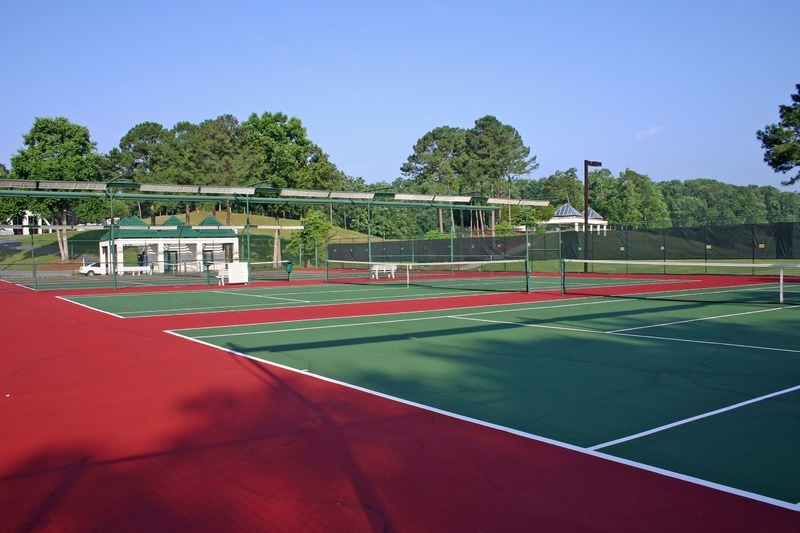 We typically suggest a fresh resurfacing of a tennis court every 3-5 years depending on a few factors like how often it is played and the climate of the court. It also takes into account how often you perform regular maintenance on the court. It is important to note however. Sometimes quick stop gap repairs aren’t the answer. If you’re trying to decide between repairing and resurfacing you should note that it may only be a temporary fix depending on the problems that are present below the surface. Just note that cracks will always come back and reflect back onto pavement within a few years. The only way to truly ever remove cracks is to remove the existing pavement and rebuild the court. So if you have any hesitancies about cracks reappearing, a complete rebuild may be in order. What Makes Sense For You? In the end your decision boils down to your budget, how often the courts get used, and the seriousness of the players that will be enjoying the court. Sometimes resurfacing is the answer and sometimes simple repairs can help. Or maybe you want to completely rebuild the court from the ground up to ensure cracks won’t come back anytime soon. Whatever the case we can talk you through the options and have you up and enjoying the court in no time. We have more info on our tennis courts page (along with info on basketball courts and running tracks). And you can also contact us here, 24/7 and we’ll contact you with more information!